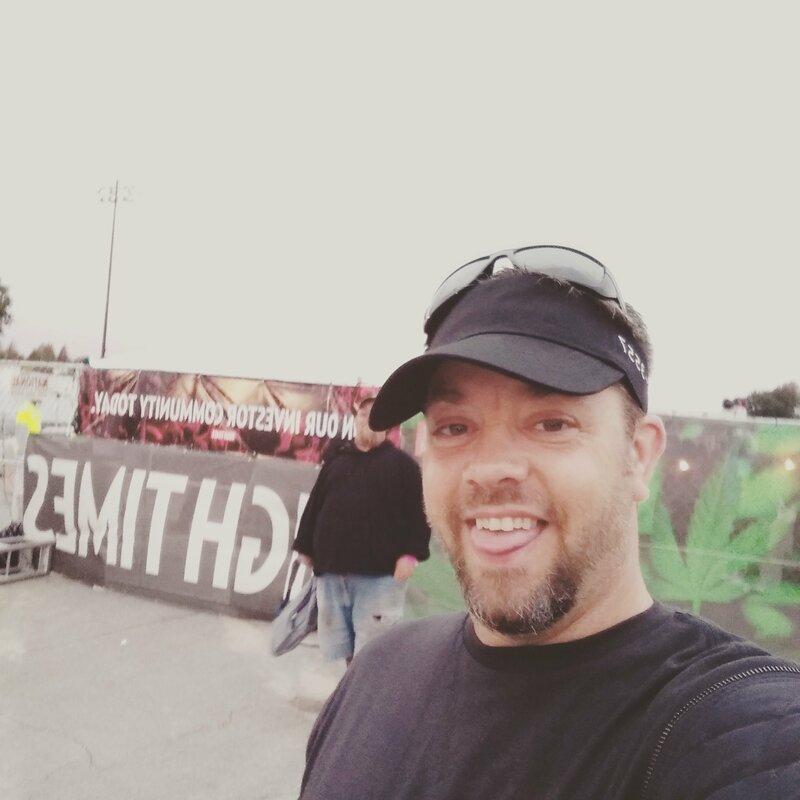 Uncle Jesse here, bringing you my report out of the last day of the High Times Midwest Cup in Clio Michigan! Unfortunately I couldn't make it out Saturday for the opening ceremonies but ultimo dia (that's final day, gringo) did not disappoint!! The music was bumping as small crowds gathered in the parking lot. The Sky had a gorgeous reddish purple hue that only got more amazing by the hour. We missed the storm and the old saying "red sky at night, sailor's delight" immediately came to mind. We even got a little Rainbow love... I smiled from ear to ear, knowing it was going to be an awesome night with my buddy Sweetcheeks! NAS put on an awesome show, although I was kinda disappointed I didn't get to hear Ether, but I get it. He played all the classic joints I remember from waaaaay back in the fn day and some new joints as well! He definitely showed love by giving "Shout Outs" to Flint and interacting with the crowd. As the sun started setting though, it turned out we weren't spared from the rain, but Mr. Nasir Jones rocked right through that bunny muffin like a thoroughbred! Q.B. was definitely in the buildin!! I wandered around the outer perimeter as the show winded down and the vendors started packing up & tearing down. Many of the folks working the Cup looked tired and wore down, you could see the exhaustion on their face but at the same time you could see that they were very fulfilled. They pulled off a hell a job, as everyone who helped surely did! My hats off to everyone and we'll see ya next year! Feel free to add you experience and pictures!